I just ordered my DS215J and I expect to have it soon. I am already researching about how to hack it and I wonder if you know which ones are the most active communities for the Bootstrap script creation. If nothing exists yet, I would like to contribute creating my own script. I’m currently not aware of any bootstrap community specialized for the DiskStation. Most of the scripts have been build for OpenWrt based routers like linksys WRT54G and then have been adapted to work on the Synology NAS. If you are interested in building something especially for the DiskStation environment, i would be happy to join. Any progress on this? I’d be happy to pitch in as well. Is there a Github repo by chance? at the moment there is no existing repo. I didn’t had the time to start a project by myself. Maybe we can group up and deliver a better solution to get the DS215j bootstrapped? Failed to download libidn. Perhaps you need to run ‘ipkg update’? I tried to install the libidn package on my disk station and it worked flawlessly. According to your error message it looks like it can’t write to your /opt/ipkg-* folder. Are you root. You have to be a super-user to be able to install packages with ipkg. I prefer to use sudo but the easiest way is to login as root to your dis station. If this won’t work, you may try to download the package to your current folder and install it afterwards from this folder. The following commands will hopefully help you. Thank you for your explanation on the DS215J. I have a beginner’s question for you: if my directory /opt has some files – I did not linked the download directory to volume1 correctly ? if your opt-folder looks a bit like the following plots, everything is fine. If not, please explain what you did. Hopefully i can help. Regarding your problem with ghostscript. Until now i hadn’t installed it, but i tried it to test the process. I got the same problem. Some digging around in blog-posts showed that this is a common problem of this fairly old version of ghostscript. But there is no newer version available. This should be fixed in version above >9.10 but unfortunately our latest version is 8.71. By now i have no time to cross-compile a newer version. Thank you for your feedback regarding the Ghostscript problem. your above output means you didn’t linked the /opt folder properly to /volume/@optware. I think you can fix this, by simply moving all of the content from /opt to /volume/@optware and set the link afterwards. First stop all optware programs. Move the content of /opt to @optware. Remove the now empty folder /opt and set the missing link. If not, feel free to contact me. Package sudo (1.8.4.5-1) installed in root is up to date. Package less (444-1) installed in root is up to date. Package htop (1.0.1-2) installed in root is up to date. I found the Synology Open Source Project on source forge. Maybe this is helpful. It worked perfectly on my Synology DS115. I saw your comprehensive guide for boostrapping DS-215j (Marvell Armada 375). I was searching a way to install driver for TT-TVStick® CT2-4400 USB stick on my DS-115j which is pretty much the same architecture (Marvell Armada 370). After boostrapping the NAS I need to “ipkg install optware-devel” to be able to load the toolchain for compiling from source code. I read somewhere on Synology forums that the OptWare gcc version is not 100% compatible with these architectures (the bootsrap used is for mv6281 – Marvell Armada 300) – thus giving errors when trying to compile natively some ipkg packages. What would be the best approach to compile the driver ? i’m not aware of problems regarding gcc on my diskstation, but to be honest i didn’t tried it. But why do you want to compile the driver on the diskstation itself? I think the best approach is to cross-compile it using the provided toolchain from Synology on an ubuntu machine. The SynoCommunity provides a rather sophisticated toolchain which can be extended relatively easy. You can grad the code from their github repository: https://github.com/SynoCommunity/spksrc. Just have a look at the contribute section on how to get started. I hope i could helped you a bit. Hi guys, I’ve reached the exact same issue with GCC from optware, would you mind pointing me in the right direction? Unfortunately there is no known fix for this. The problem is, that the optware chain was not build exactly for the ds215j and its architecture. There are some packages not working as expected. Maybe i could give it a try and cross-compile gcc myself. I’ve got the same issue and I would like to know if you have solve the compiler problem ? Yes, I also have exactly the same problem with GCC. Could you please keep me posted if you get any solution in the future? Thanks Andre. I didn’t had the chance to try it by now. But I’ll keep you updated as soon as I tried it. 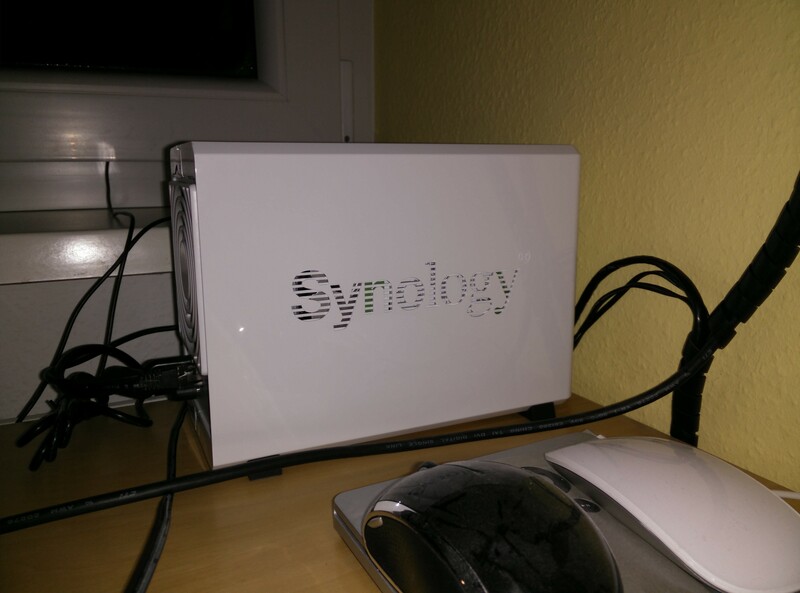 Thank you for your explanation on the DS215J.It worked perfectly on my Synology DS215J. There is no real difference, it used the how-to of trepmag as a source to create mine. But i added some tweaks und fixes i found during my setup that are specific for the ds215j. I find this command “tar -xOvzf $ipk_name ./data.tar.gz | tar -C / -xzvf -“will over write the soft link “/opt”,so I change the command like “tar -xOvzf $ipk_name ./data.tar.gz | tar -C /volume1/@opware -xzvf -” then make the link “ln -s /volume1/@optware/opt /opt”, I think this will be good. An other question 😊 I don’t completely understand meaning of command”tar -xOvzf $ipk_name ./data.tar.gz | tar -C / -xzvf -” and the last symbol “-” also bother me. the untar should not overwrite the already existing link but extracting the content right to the to /opt linked folder. I think there could be a problem if you link it afterwards, because it extracts some data to /opt that will be removed if you link the folder to /volume1/@optware. I have to validate this. thank you your anwser for my second question. lol~~and sorry for my bad English. At first, the folder /volume1/@optware should have been empty but after linking and extracting the .tar archives, it should be filled and look almost like this. If it is currently empty, but /opt is filled with this content, simply move it to /volume1/@optware and afterwards delete the /opt and setup the link. Maybe you have to login as root to be able to execute this commands. You can see my comment below as a +1 to the above. The tarball extraction is likely the culprit that is overwriting the /opt symlink. Following your below steps (which I posted as well without seeing your comment) is a fix, but should be reflected in your original post. Otherwise people will lose any packages they install via ipkg with the next DSM security update (and there have been quite a few lately). thanks for this description to download and install ipkg on a DS215j. Unfortunately I have some difficulties, maybe as I’m a newbee installing packages via command line. I followed your instructions for setting up ipkg, but it’s not downloading a bootstrap but the index.html of the webadress. What is going wrong? Nach jeder bestätigten Eingabe folgte wieder dieser prompt. Ich habe also alle Befehle und Skripte auf diese Weise eingefügt und zu keinem Zeitpunkt eine Fehlermeldung bekommen. Nach einem Neustart der DS wollte ich das IPKG Update ausführen, aber da kam schon eine Fehlermeldung. Habe ich zwischenzeitlich etwas übersehen? Hätte ich zwischendurch auf einen anderen Prompt wechseln müssen? Der Punkt “Add /opt to PATH” macht mich da etwas stutzig, weil dort etwas von /root/.profile steht. Wie käme ich dorthin? Wie Sie sehen ist dies alles absolutes Neuland für mich. Ich habe mir schon einges angelesen, aber häufig scheitert es auch an meinen Englischkenntnissen. Ist es Ihnen irgendwie möglich, mir das in irgendeiner Form zu erklären? Ich hatte auch versucht Pakete über die ipkgui zu installieren, aber da zeigt er mir garkeine Pakte an. Auch wenn ich spk.unzureichende.info als Paketquelle eintrage. Ich vermute, dass hängt mit einem Fehler den ich bei der grundsätzlichen Installation gemacht habe zusammen. Ich kann nicht genau erkennen, wo das Problem bei deinem Setup ist, aber meine Frage an dich, warum brauchst du IPKG (Bootstrap)? Du sagstes du willst minidlna von http://spk.unzureichende.info/ installieren. Dabei handelt es sich jedoch um ein repository für den Synology Paket-Manager und nicht für IPKG. Leider gibt es in dem repo kein binary für die DS215j. Wo genau hängt es bei der Installation von ipkg? Warum genau brauchst du minidlna? DSM bietet doch mit Video/Photo/Audio Station auch upnp/dlna server. ich muss gestehen, dass ich etwas verwirrt bin und mir das Ganze schon etwas peinlich ist…Ich war der festen Überzeugung, dass minidlna über IPKG zu bekommen sei. Und zwar weil es im herkömmlichen Paketmanager halt nicht angezeigt wurde, da es nicht verfügbar für die Ds215j is. Ich meine halt irgendwo gelesen zu haben, dass es andere hinbekommen haben…Leider bin nich der typische “Windows-Klicki-bunti” User und stoße hier sehr wahrscheinlich schnell an meine Grenzen. Ich hätte den minidlna gerne genutzt, da ich meine BluRays archiviert habe und bei nahezu allen Files mit DTS Ton der Standard Medienserver die Segel streicht. Dies soll über minidlna deutlich besser sein. Plex wäre noch eine alternative, allerdings bin ich unsicher bezüglich der Performance der Ds215j. Hast Du in diese Richtung noch eine gute Idee für mich? Auf jeden Fall danke ich Dir für Deine schnelle und rücksichtsvolle;-) Antwort! Ich habe vorige Woche die Anleitung aktualisiert und mit Hilfe einiger Leser von hier Fehler korrigiert, welche dazu führten, dass sich die DS215j nicht ordnungsgemäß bootstrappen ließ. Nun sollte man ipkg relativ einfach installieren können. Damit sollte dann deinem minidlna auch nichts mehr im wege stehen. I didn’t notice this the first time I did this (a month or two ago), but I think your symlink for /opt is being created incorrectly. Target should come before destination directory. The reason I noticed this is that all of my optware related packages & configs were wiped from my system on the latest DSM update. Upon googling it appears that Synology only preserves /volume1 and then they completely nuke all other folders when they install an update (I suppose that’s a pretty sure-fire way to control what’s installed system wide, if a huge amount of pain as a user). Well, along with it all, went everything I had setup in /opt because /opt wasn’t actually a symlink to /volume1/@optware as expected. Hope this helps someone else (and I hope this actually persist the next DSM security update). I updated the initial post to reflect these for new readers. saurait tu me dire ci il est possible d installer un encodeur video sur le synology ? s’exuser, mon francais est très terrible. It is better to do it in english. Yes it is possible to install and use an video encoder for example ffmpeg. Another way is to use the debian chroot package and install ffmpeg as a debian package. Using this way you get a more recent version but you have to figure out, how to use ffmpeg inside the chroot from the outside of it. I’ve done all steps – no errors. Rebooted. -> however if I typed ./ipkg-opt update the full thing seemed to work. Hey, it sounds like you missed the step of adding the /opt/bin and /opt/sbin paths to your env-variables. Yes, you’re right. Got it to work now, perfect article!!! Thanks for your help. Brilliant. And its even more embarrassing, I managed to misstype $PATH *grmpppf*. I'm using a DS216j which Marvell Armada like your DS215j. Do you know what is going wrong here? there was a problem during some wordpress update, which messed up the comannd within the code-tag. I updated the post to now show the right command.